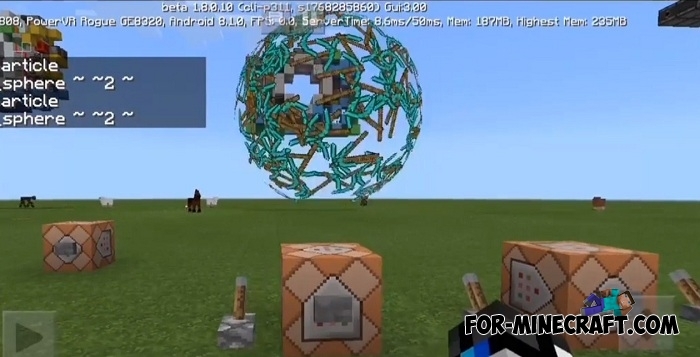 It turns out that Minecraft BE 1.8 is not limited to such features as pandas and stray cats, in new beta versions there are new particles that can be seen using command blocks. Particles are one of the tools for maps and add-ons creators who are looking for ways to decorate their creation with the help of vanilla methods. This map has collected new particles in one place: go to any of the blocks and activate it to launch particles. These will be spheres, air and multi-colored bubbles and other types. Use them to create colorful levels without adding modifications. 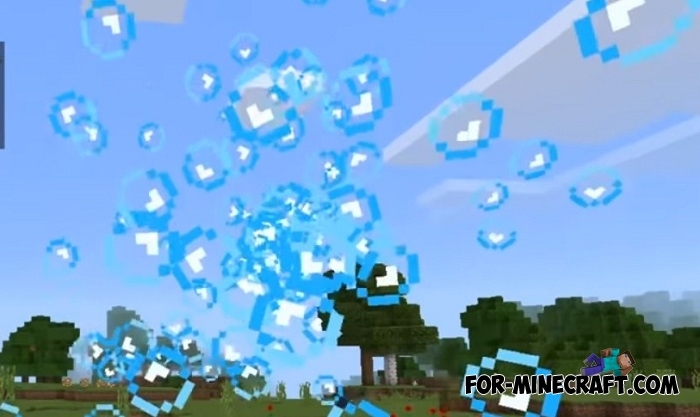 Remember that these particles only work on Minecraft Bedrock Edition 1.8 (download).